Why Video and Why MORE Video! Today more than ever there is need to be producing more and more good video content as a marketer or brand. You would of course expect a video company like Waves Media to assert this. But let us give you a few reasons why. In 2016, Mark Zuckerberg told Buzz Feed: “I wouldn’t be surprised if you fast-forward five years and most of the content people see on Facebook and are sharing on a day-to-day basis is video.” This coming from one of the forerunning thinkers in the social world should not be quickly overlooked. With it’s new emphasis on handling video being upgraded, Facebook with a user base of 2 BILLION, is in a sense following a trend users are setting. And with video becoming more doable with the smart phone and user friendly editors it will only be on the rise. Additionally, social apps have and will continue to not only integrate video in their usage, but give it lots of love as well! Probably don’t need to say too much here. With video involving hearing, seeing, feeling, it is the standard for engagement. Remember that maxim, communication is 90% non-verbal? Well video helps bring that other 90% in. And even as the newer medium of VR (engaging our sense of feel and interaction) becomes more popularized, it would be naive to think video won’t be integrally involved in that also. People may not want to read your written blog all the way to the end. If you are reading this entire entry, you are rare for sure. But if we make a video of the same thing, they just may watch it through. People get on social media to be entertained. What could be more entertaining than video? Something that includes music, visuals, colors, transitions, and more! Video is so often a starting place from which can stem all your other content in it’s various forms. For instance, it’s the thing you can direct your readers towards for more engagement or information after they start your article or see your tweet, post, or whatever. 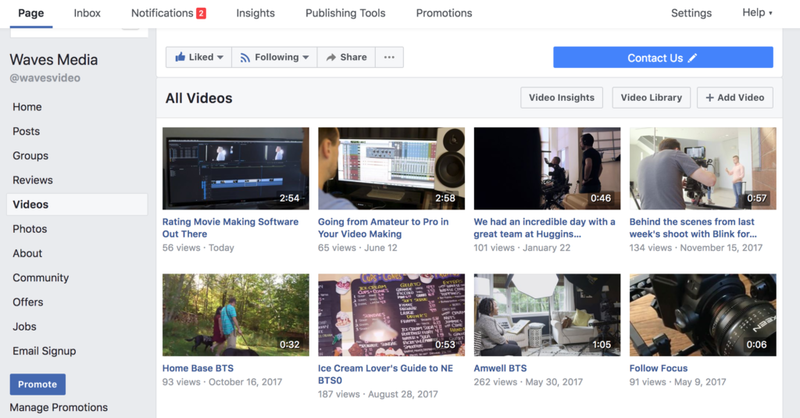 You can even default your content publications with video each time as the first step in your marketing process. Whether professionally produced or made in house, it gets your branding rolling in a super SEO and people friendly way. Then get to posting photos, articles, and more as a follow up or enhancement to that video. So keep at it – Video Will Be King!